The move by some top members of the All Progressives Congress to replace the National Chairman, Chief John Odigie-Oyegun, with a former Interim National Chairman of the party, Chief Bisi Akande, has been met by stiff opposition from state APC chairmen. A host of State Chairmen of the party are backing the continuation of Odigie-Oyegun in office. In fact, the State Chairmen called for the extension of the National Chairman’s tenure in office for another two years. The position of the Chairmen was said to have followed moves to replace Odigie-Oyegun at the National Executive Council meeting of the party currently holding in Abuja. 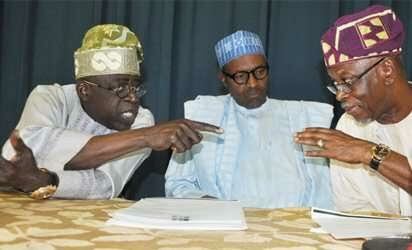 The decision to remove Odigie-Oyegun was said to have followed the complaint by the National Leader of the party, Asiwaju Bola Ahmed Tinubu, that the National Chairman was a clog in the wheel of the assignment given to him by President Muhammadu Buhari to reconcile aggrieved members of the party. This was preceded by several complaints of undue interference by some state chapters in their affairs by the National Chairman. However, in what appears a masterstroke by Odigie-Oyegun, 31 State Chairmen threw their weight behind him to continue in office.